Garden Fitzroy Square communal garden may be available at an additional cost, subject to permission being obtained in advance. 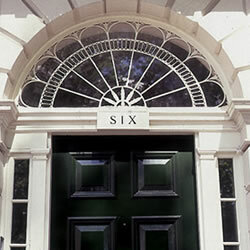 The Georgian Group’s elegant eighteenth-century headquarters at Six Fitzroy Square provide a unique location for all types of private and corporate event in the heart of central London. A Georgian townhouse in one of the capital’s quietest and most handsome garden squares, just minutes from the West End, it is a peaceful, versatile space with excellent natural light. The Adam Rooms and library are available for hire on an exclusive basis ensuring confidentiality and security if required. Wireless internet connection is provided throughout. 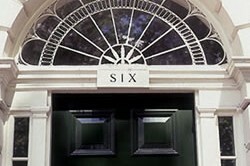 Six Fitzroy Square is the perfect venue for a wide range of events including anniversaries, wedding receptions, business meetings, Christmas parties, cocktail parties, concerts, conferences, confidential interviews, corporate entertainment, dinners and dinner dances.